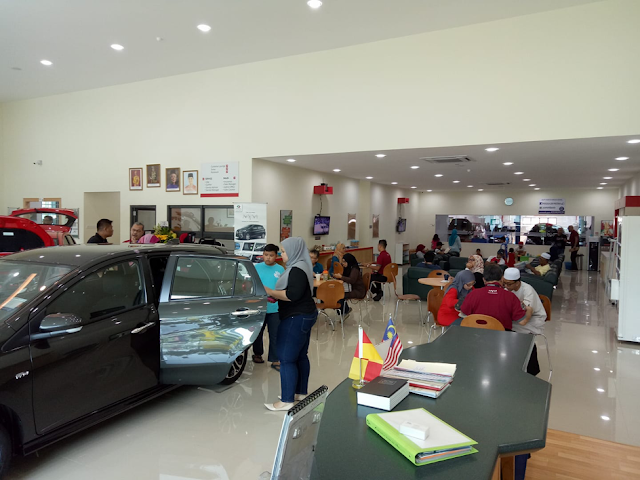 Perodua, despite already being Malaysia’s best-selling car brand, is not resting on its laurels and this is evident by the opening of another new Perodua 3S centre in Saujana Utama, Sungai Buloh. 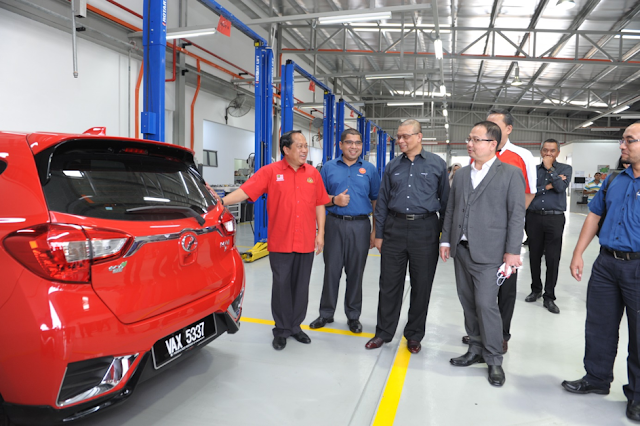 Yusmanida Auto Sdn Bhd, a Perodua dealer since 2003, opened the new 45,000 sq. ft. outlet, which has a built-up area of 16,000 sq. ft. The 3S centre has 65 employees, including 30 sales advisors and 12 service advisors. This impressive centre is now one of Perodua’s 186 sales and 183 service outlets in Malaysia, as well as 24 Body & Paint outlets. Present at the launch were Deputy Minister of International Trade and Industry Datuk Haji Ahmad Maslan, Malaysia Automotive Institute (MAI) Chief Executive Officer Dato’ Madani Sahari, Jeram State Assemblyman Dato’ Haji Amiruddin Setro and Perodua Sales Sdn Bhd Managing Director, Dato’ Dr Zahari Husin. “Yusmanida Auto has been a Perodua dealer since 2003, previously operating a sales outlet on Jalan Meru, Klang. Over the past 15 years, Yusmanida Auto has built a strong working relationship with Perodua based on trust and a common desire to give our customers the best they deserve,” said Perodua President and Chief Executive Officer Datuk (Dr) Aminar Rashid Salleh. Construction on the RM11 million 3S outlet began in August 2016 and the building was completed in April 2017, before operations started in September 2017. Comfort, convenience and satisfaction are the top priorities for customers. 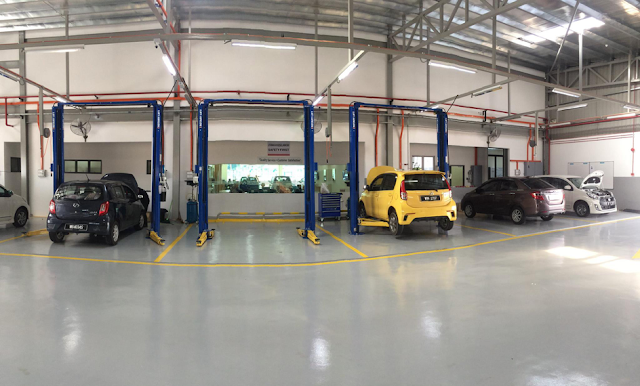 The service centre is capable of servicing six cars at any one time. In the spacious lounge, there are TV sets, a mini library, a children’s play area, and vending and beverage-making facilities. “We have always been happy and proud to be working with the nation’s top-selling carmaker. 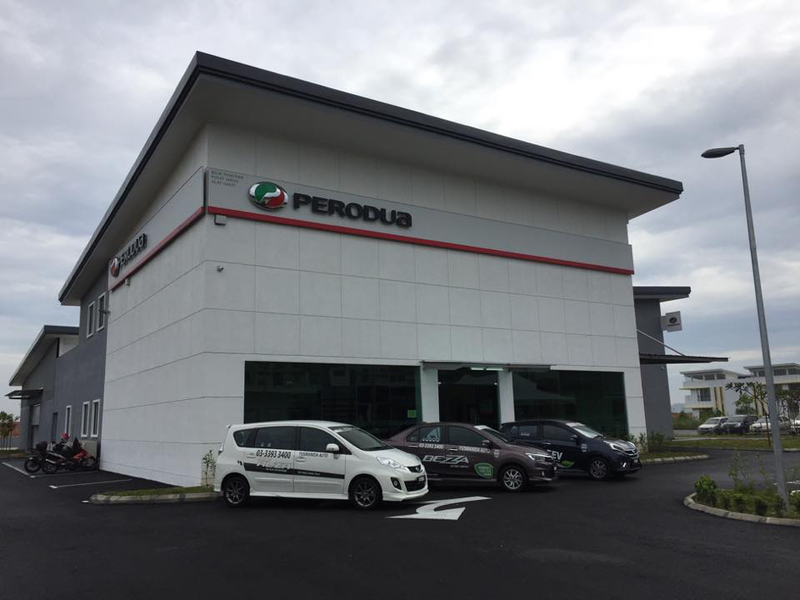 We hope that with the expansion of our offerings to include service and spare parts, and in a new location, we will be able to offer a more complete and one-stop Perodua Experience to customers and residents in the vicinity, in line with Perodua’s Transformation 2.0 initiative,” said Yusmanida Auto’s Managing Director, Tuan Haji Sarizal Yusman Yusoff. “We would like to thank Perodua for all their support and guidance in empowering entrepreneurs like us,” he added. Yusmanida Auto is located at Wisma Yusmanida, Lot 28808, Persiaran E1/1, Seri Pristana, 47000 Saujana Utama, Sungai Buloh. A 500bhp Toyota Hiace – Whaaattt?